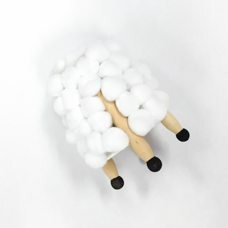 Use clothespins and white poms to transform a paper cup into an adorable sheep! 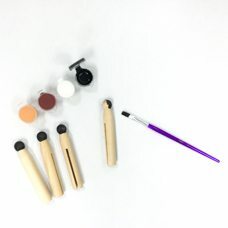 Paint the tops of 4 old fashioned clothespins black. 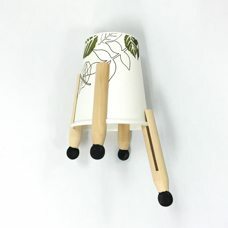 Slide the clothespins onto a cup. Spread them evenly apart. Cover the cup in 1” white poms. Roll a black fuzzy stick into a flat circle. Glue the end to itself to secure. 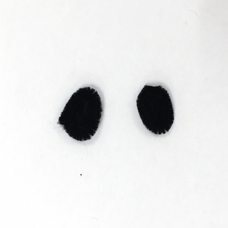 This will be the sheep’s face. 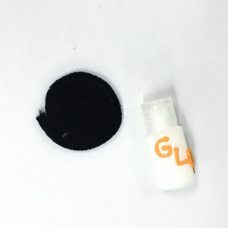 Glue the flat black fuzzy stick circle to the pom covered cup. Place it in the middle of 2 of the clothespin legs. 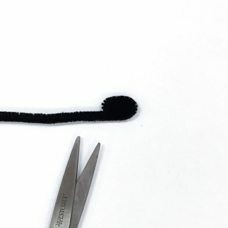 Roll about 3” of a black fuzzy stick into a flat oval shape. Cut off the excess. Repeat. These will be the sheep’s ears. 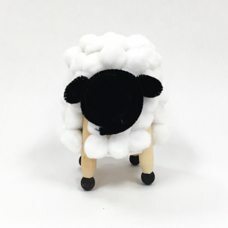 Glue an ear to each side of the sheep’s face. 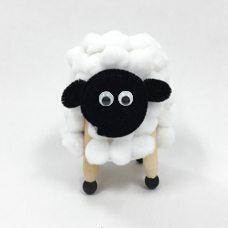 Glue on 2 wiggly eyes so the sheep can see. 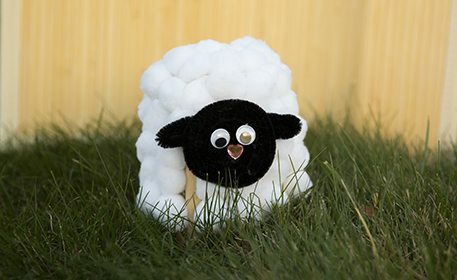 Glue a small acrylic heart below the eyes to finish your sheep.